Experience authentic tube response and amazing versatility. 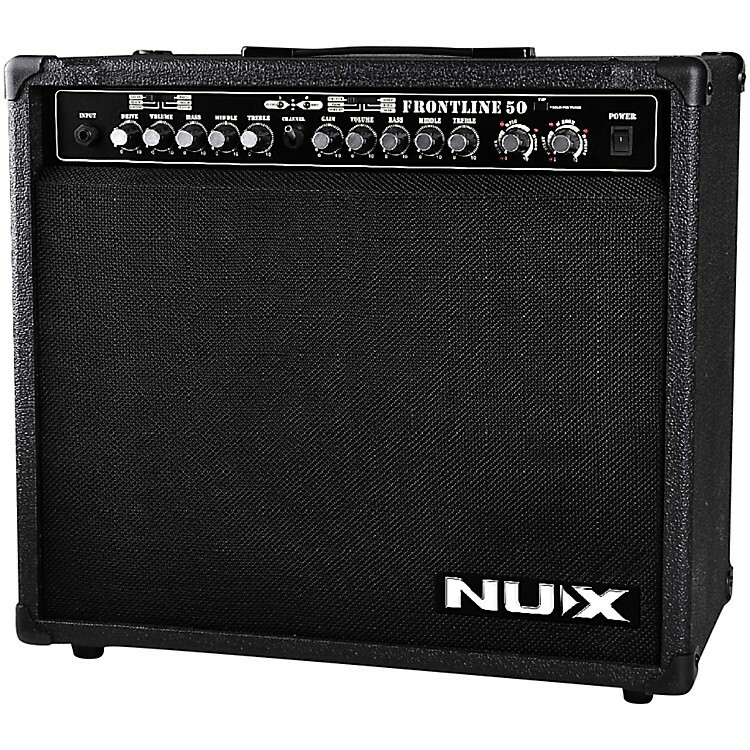 The Nux Mighty 50X 50W 1x12 guitar combo amp features a cutting-edge tube-clipping simulation algorithm for authentic tone, along with a three-band, vintage-style EQ for tube guitar amp response. It also boasts four modulation effects, including chorus, flanger, phaser and tremolo. Delay and reverb effects can be used with modulation effects simultaneously. You can Store up to four presets. The Mighty 50X also features a built-in tuner with 7-segment LED display. For added versatility, the Mighty 50X offers dual guitar inputs for vintage and hot guitar pickups. An aux. input. allows jamming with an external music-playback device (mp3 player, etc.) headphones/mixer output. By using 32bit DSP, 44.1KHz/24bit AD/DA converters and Nux's TS/AC (True Simulation of Analog Circuit) technology, the Mighty 50X will supply amazing guitar amp and EFX sounds.